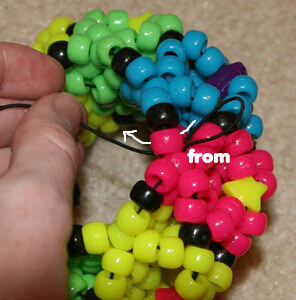 How do you tie off a kandi cuff? 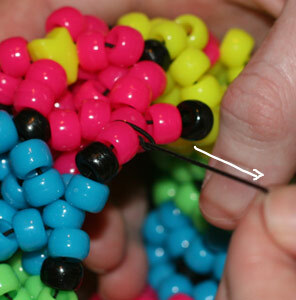 This brief tutorial will teach you how to tie off kandi cuffs. This method is the one I personally use, and will work for finishing all types of cuffs if you do it correctly. 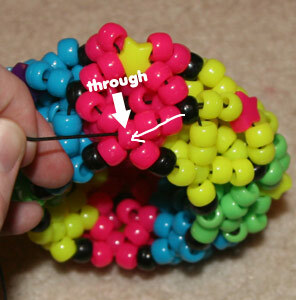 Work your string down so it's coming out of one of the beads on the bottom row. Next, thread your string down and underneath the string of the bottom row, so the end is coming out from inside the cuff. Don't pull it all the way through; leave a loop as shown. This picture isn't super clear, but pull the end of your string up through the loop you've just made. You will be going over the string of the bottom row to go up through the loop. Make sure that you have not looped around a bead. 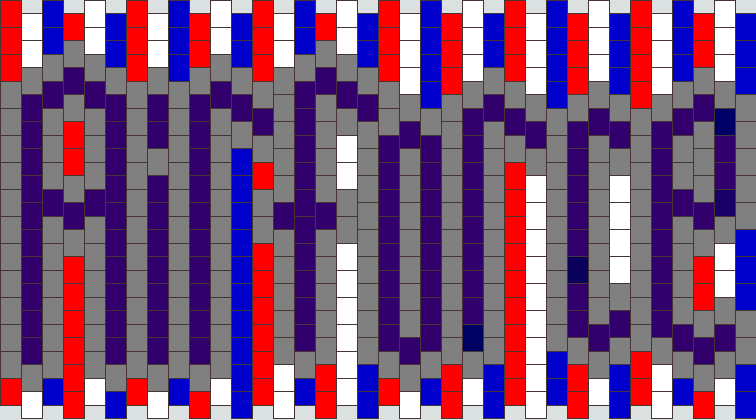 You should only have looped around the string of the bottom row. 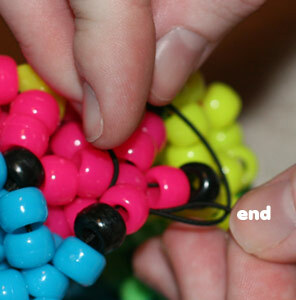 Then pull the string tightly, so that you create a knot. Repeat steps 2-4 one or two more times to secure the knot, then trim the excess string.